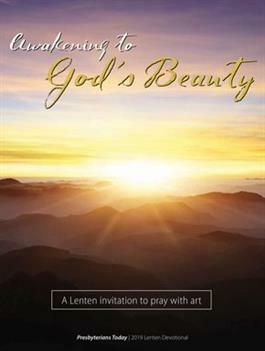 This year’s stunning devotional invites us on a spiritual and visual pilgrimage through the holy season of Lent . . . through the final days of our Lord’s ministry . . . his passion . . . his death on the cross . . . and finally his glorious resurrection at Easter. Relying on the powerful words of the Psalms, we peer at the heartbreaking ravages of the world through Jesus’ eyes: poverty, racism, sexism, corruption, violence and so many other social ills that afflict God’s beloved children. For those of us intent on bending the arc of history toward justice, it might be tempting to become agitated and exhausted. But with God, there is always hope. So, through magnificent photography and a spiritual discipline called visio divina — praying with art — we open our eyes with new awareness and gratitude for the beauty of creation. The devotional offers a dazzling smorgasbord of soul-stirring original photographs, each with a short, guided meditation to lift our hearts and fortify us for the rest of our Lenten journey.